A Paintball Marker is commonly referred to as a Paintball gun. A Paintball marker is a piece of equipment that is used in the sport of Paintball. A Paintball marker is required in order to play the sport. Splatball can be enjoyed at just about any time, from sun-up to sunlight-lower. Paintball guns are for sale to hire in standard versions as well as more complex versions. The Eclipse and Geo are a couple of the more advanced Paintball designs readily available. A combination of carbon and gas dioxide is utilized to launch painting balls via a barrel. Paintball might cause some actual injury to our bodies. For that reason, safety mask with thermal lenses should be worn to avoid significant injuries. Our bodies of your Paintball is constructed from lightweight aluminum. The reservoir of your Paintball is loaded to support compressed gasoline. Many of the Paintball characteristics are comprised within the principal system in the device. At the moment, fascinated athletes have numerous paintball firearm improvements to select. In addition, the pistol improvements are actually on offer at a cost of only $20. 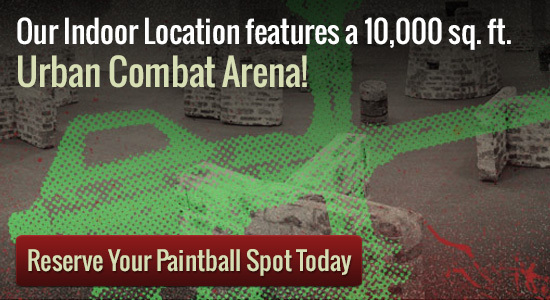 There are a selection of gamer packages open to anyone interested in Paintball games. Class managers could be qualified for totally free ammo along with pistol enhancements. Go walking-on enjoy is also readily available. Paintball is a sport that has gained considerable notoriety. If you have never played before, what are you waiting for? Get a group together and give us a call to reserve your spot today! Both private play and walk-on play are available at Splatball. If you are looking for private group play the minimum group size is 8 players and reservations must be made in advance. You can reserve your spot by giving us a call at 612-378-0385. Spots fill up fast, so make sure to book at least a week in advance.